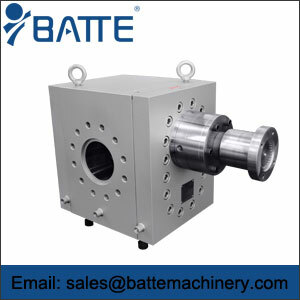 The chemical fiber spinning metering pump developed by Bart is mainly used for uniform and equal delivery of spinning melt. The import and export structure of Bart spinning metering pump is divided into one in one out, one in two out, one in four out, one in six out, one in eight out, one in sixteen out, which can meet the production needs of most spinning industries. The following is a detailed analysis of the routine assembly steps of the metering pump manufacturer for chemical fibre spinning. 1. Wash the parts of spinning metering pump with gasoline or trichloroethylene and dry them, press the driven shaft into the fixed pump plate, and spray thin silicone oil on several rotating parts. 2. 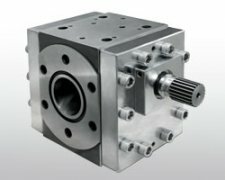 Generally, the pump is assembled according to the original pump plate, and the main body of the pump is assembled in groups. Firstly, the gears are installed to rotate, and then the cover plate is installed. 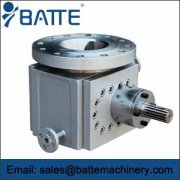 If the high-pressure pump is used, the positioning sleeve must be pressed. Then the spindle should be rotated to confirm the flexibility. 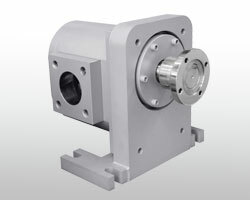 If there is no blocking phenomenon, tighten the screw with the moment mover. 3. Pump in gasoline, hand-held chemical fiber metering pump working direction, spindle rotation, feel easy to even must be qualified. 4. 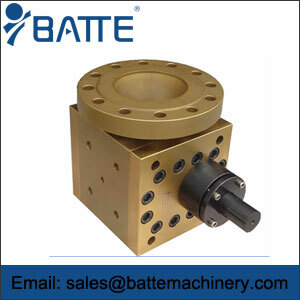 Dismantling the blocking pump and removing the teeth with bad polishing, or axle and shaft holes, or gear holes. Repeated assembly and trial run, if there is any problem, should check whether the shape and position errors of the parts are qualified. 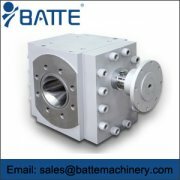 Before leaving the factory, the spinning metering pump provided by Zhengzhou Bart needs to pass the inspection on the special flow testing machine to ensure the high precision metering operation of each equipment provided.